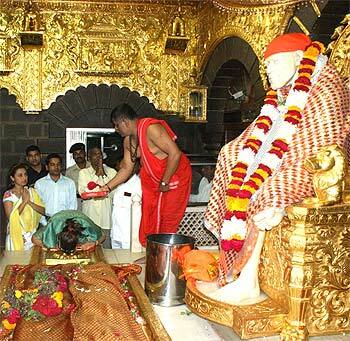 Rani Mukerji was spotted at the Shirdi Sai Baba temple in Mumbai on Tuesday. Is the actress praying for a new lease of life for her career with her upcoming film, Dil Bole Hadippa, opposite Shahid Kapur? Three cheers for, well Three! Well, it was his night and there was no taking it away from him! Ashish Chowdhry had the industry folks pouring down at Mumbai's suburban theatre on Monday night to show their support at the special screening of his new movie Three. The actor and his wife actress Samita Bangargi, who was also his heroine in the movie Shaadi Ka Laddoo, acted as the perfect hosts. 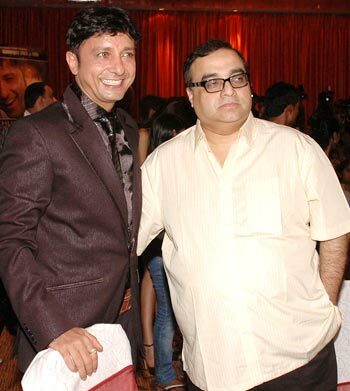 Although best buddies Riteish Deshmukh and Sajid Khan were not to be seen, as they were out of the country, other film personalities like Jag Mohan Mundra, Ramesh Taurani, Sudhir Mishra, Ravi Chopra and wife, Sanjay Gadhvi, Piyush Jha and Sanjay Khanduri dropped in to cheer for Ashish and his film. Aarti Chabbria made it to the screening as well. 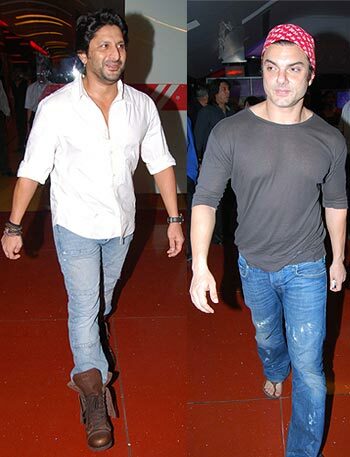 Also seen at the do were Sohail Khan looking cool in jeans and t-shirt and Arshad Warsi sporting a pair of trendy cowboy boots. TV presenter Mandira Bedi and actress Aditi Gowitrikar also made it to the event. 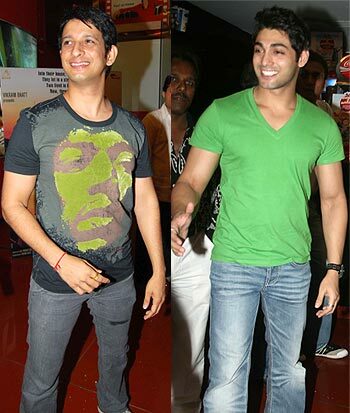 Also spotted were actors Sharman Joshi and Ruslaan. Elsewhere in Mumbai, Sukhwinder Singh -- singer of songs like Chaiyya Chaiyya, and more recently, the Oscar-winning Jai Ho -- announced his acting debut at a press conference on Monday. The social message-oriented film is titled Khudi Ko Kar Buland Itna and is directed by Jagbir Dahiya. Mango Dolly enjoys her ice lolly!